Holiday Sickness – was it salmonella? Historically a popular destination for American college students during Spring Break – Cancun has become a favourite destination for UK holidaymakers. In addition to the climate and extensive beach, the resort has an array of all-inclusive accommodation. Whilst most of this accommodation is of a high standard, lapses in hygiene practices, food preparation standards or cleanliness may lead to outbreaks of infectious diseases due to salmonella, campylobacter, cryptosporidium, giardia or E.coli food poisoning. If you have been to Mexico on a package holiday and have suffered from sickness then you may be entitled to compensation if your hotel was to blame for the illness. If food was not always hot, if food was not stored at correct temperatures, if plates, glasses and cutlery were dirty, if swimming pools were not sufficiently cleaned or if food handlers allowed cross contamination of food to occur then it may be that the hotel caused your illness. To find out whether can make a claim contact us for free initial advice. Our holiday and travel law specialists will assess your claim and provide advice on a “no obligation” basis. 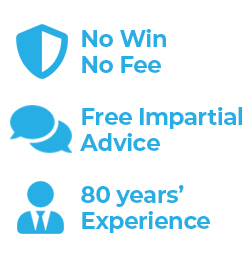 In many instances we can act on a No Win No Fee basis. We will also check whether alternative funding is available to you. Are there problems at my hotel? Some hotels may experience problems with illness outbreaks on a regular basis. Sometimes however, a hotel may experience a temporary lapse in standards which lead to an outbreak of illness. Our Holiday Claims Specialists therefore monitor the below hotels, located in and around Cancun and nearby resorts such as Puerto Morelos, for signs that may indicate a problem. If you have been ill or know of anyone that has been ill at one of the below hotels then we suggest that you contact us. Such illnesses may include E. Coli, Salmonella, Campylobacter and Cryptosporidium. Simpson Millar’s holiday and travel compensation lawyers deal ONLY with foreign accident and foreign illness claims. Therefore, if we accept your claim, your claim will be handled by a lawyer that deals exclusively with this kind of claim and has the knowledge and experience required to get the best possible result for you. Some firms may claim to be specialists in holiday law but only deal with the occasional claim. It pays to be careful when selecting a lawyer. Travel and holiday law is unique and is ever changing and if your lawyer is not experienced in it, then this could be costly to you and prevent you from recovering the level of compensation that you are entitled to. To find out whether you can make a “no win no fee” claim contact us on telephone number 0808 145 1353 or via our online enquiry form.